The United Nations Environment Programme – Or ‘UNEP’ as they are often known, is trying to urge people to eliminate microplastics from the world’s oceans, while also aiming to put an end to the excessive and wasteful use of single-use plastics such as bottles, plastic bags and much more. All of which can be extremely harmful to aquatic life, as well as the environment. Many people don’t know this, but around 80% of all litter within the world’s oceans is made up of plastic. 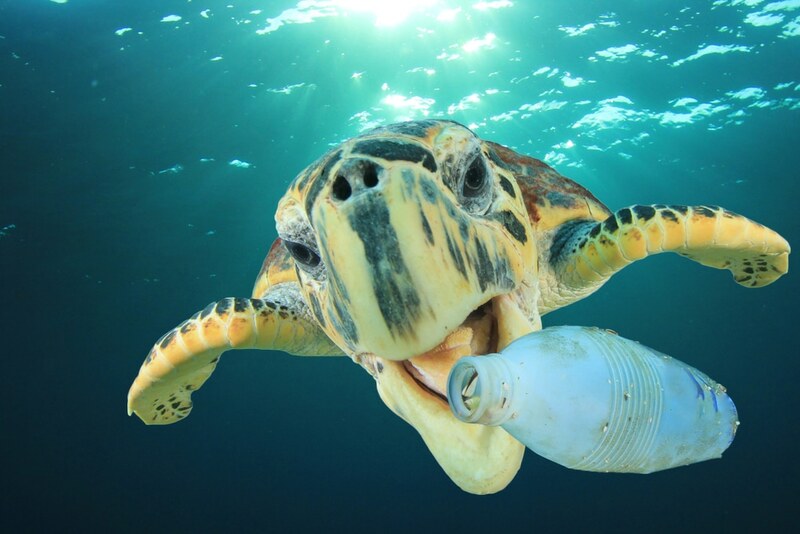 Recent reports suggest that as much as 51 trillion microplastic (Yes, trillion) particles currently pollute our oceans – meaning there are around 400-500 times more microplastic particles in the oceans than there are stars in the Milky Way (Estimated at between 150-250 billion). The oceans make up almost 70% of Earth’s surface, and despite this we’re still a LONG way from understanding our oceans, with 80% of all the world’s oceans, unmapped, unobserved and unexplored. Yet, as a species we’re already managing to destroy them. Recently, a £20 million project has been launched, aiming to rid the ocean of plastic waste by using a 2,000ft long barrier (Nicknamed ‘Wilson’ or ‘System 001’) to herd the plastic and help remove it. The aim of this project currently is aimed at fighting The Great Pacific Garbage Patch. This is the largest accumulation of plastic within the world’s oceans and is roughly 3 times the size of France – Located between Hawaii and California. However, this project has recently hit a snag, with plastic actually exiting the system once it is collected, meaning the company have had to go back to the drawing board to create something new and eliminate this problem. But why should we leave it to others to fix when many of us are just as (if not more) to blame than those currently working to clean it up. Well, we’re not suggesting you spend £20 million in order to try and make a difference (While that would of course help), but with some simple lifestyle changes you could make a bigger difference than you realise. Ditch plastic water bottles, in favour of BPA free, stainless steel drink bottles, such as these, stop using single-use plastic carrier bags, and just generally think about small ways you can make a difference by removing plastic from your life. Check out this info graphic from Direct Packaging Solutions to see the extent of damage we’ve manage to cause to our oceans.